Population: With approximately 350 permanent residents, some of whom are sixth generation, only 400 tourists are allowed on the island at any one time. There are two banks on the Island: Westpac and Commonwealth. Credit cards are accepted widely but not everywhere. There is an automatic banking teller available for use at all hours at the Lord Howe Island Bowling Club. Phone: +61 2 6563 2114 or free toll 1800 240 937 in Australia. Hours: 9.30am - 3pm Monday -Friday. 9.30am - 2pm Sunday. Closed Saturday. Relax on white sandy beaches, discover the world's tallest sea stack, and tackle one of Australia's best day trek trails climbing Mount Gower, Lord Howe Island's tallest mountain, in this World Heritage island paradise. There's even a golf course. 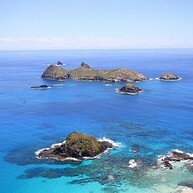 Lord Howe Island Marine Park is internationally significant, with the world's southernmost coral reef and the only fringing coral reef lagoon in NSW. The convergence of warm and cool waters results in a unique mix of temperate and tropical species, many of which can be seen in clear waters close to shore. Visitors can swim, dive, snorkel and kayak amongst colourful marine life, enjoy fishing from shore or on a charter boat and simply relax on pristine sandy beaches. 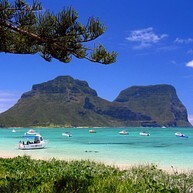 Located about 700 kilometres northeast of Sydney, Lord Howe Island Marine Park is a multiple-use marine park that caters for many different recreational and commercial activities. The park protects marine biodiversity and areas of ecological and cultural importance, and provides for sustainable recreational and commercial activities. 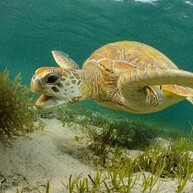 Visitors from around the world visit the marine park to dive, swim, snorkel, fish and holiday. 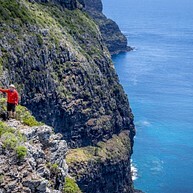 The Seven Peaks Walk is Lord Howe's premier five day guided adventure that takes you from pristine beaches and exposed coral platforms to the delicate mist forests on Mt Gower. Along the way, you'll see sheltered swimming coves, subtropical palm forests, freshwater creeks, rugged sea cliffs and volcanic peaks. Some sections of the walk, such as the Lower Road on Mt Lidgbird, wind along exposed narrow ledges (protected by ropes, of course) across a 300 vertical metre cliff. Other sections of the walk take you deep into Jurassic Park style banyan forests with the only rookeries of Providence petrels in the world. When you yell, the curious birds land at your feet, almost hypnotised. It's an incredible experience. The Seven Peaks Walk is a member of the Great Walks of Australia - a small collection of Australia's finest luxury walks. 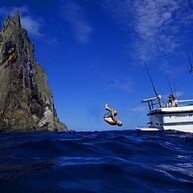 Just 15 minutes by boat from Lord Howe Island is an intriguing group of volcanic formations. 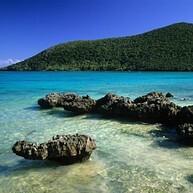 With some of Australia's best dive spots, eager divers flock to the crystal clear waters in this area. Choose from around 25 dive sites scattered around the atolls. Explore the basalt caves and reefs below the world’s tallest sea stack, with a height of 551 metres. Balls Pyramid is home to huge schools of violet sweep, rainbow runners, marlin, dolphins, turtles and rare species such as Spanish dancers, double-headed wrasse and Galapagos whalers. Blinky Beach, on the eastern side of Lord Howe Island, is a great spot for a refreshing swim, surf or a relaxing snorkel. It’s the most popular place on the island to catch a clean surf break on some of Australia’s least crowded waves. The fine sands are also ideal for beach fishing. The museum has a range of innovative displays on the island's World Heritage environment, community and history dating back to 1788, when the British naval vessel HMS Supply was believed to have discovered the island. Malabar Hill offers sweeping panoramic views of Lord Howe Island encompassing the towering volcanic peaks of Mount Lidgbird and Mount Gower. Its cliffs are the world's largest nesting ground for red-tailed tropicbirds. The best time to see the birds' airborne courting rituals from Malabar is between September and May. 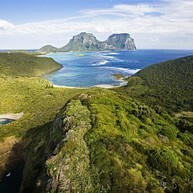 Standing tall at 875 metres, Mount Gower is Lord Howe's highest mountain. 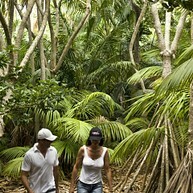 Rated as one of Australia's best day walks, the Mount Gower hike is a challenging eight-hour return trek. Walkers traverse about 14 km across the mountain's rugged terrain, encountering some of the island's rarest plants and wildlife along the way. A secluded beach, North Bay is accessible only by foot or water. Visitors can admire migratory sea birds and take short walks to Mount Eliza, Old Gulch and Herring Pools from the bay, or simply relax on its white sands. Amazing snorkelling opportunities can also be experienced here, with a large variety of fish, turtles and colourful corals. Weather-sculpted sandstone rocks are dotted across the tiny and secluded Old Settlement Beach. Situated to the island's north, the beach is a great place to swim, relax and admire impressive mountain views. And enjoy a picnic. The unique Valley of the Shadows trail takes you through remarkable banyan tree forests with aerial roots that give the impression trees are “walking” through the landscape.